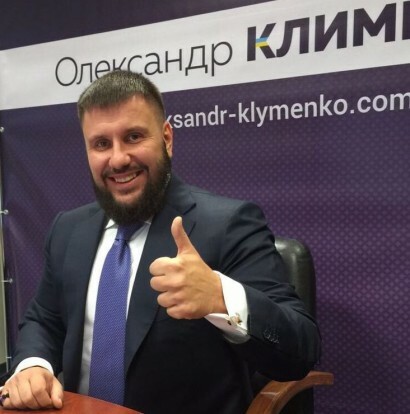 Klymenko: Patriotism is not in the war, it is in the daily work for the sake of peace ⋆ News ⋆ Official website for Oleksandr Klymenko. The politician promised to give a big press conference for Ukrainian journalists on September 21. The problem of displaced persons – is not a problem of one region or one Ukrainian city, it is a problem of the whole country. 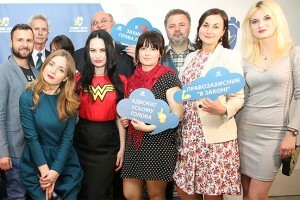 It was stated by Oleksandr Klymenko during the presentation of the sociological research “Comfort index of IPD”, which was hold on September 16 by the community initiative “Restoring Donbas” in conjunction with the sociological center TNS-Ukraine in Kiev. Oleksandr Klymenko commented the results of the research and promised to answer all the questions on a big press conference on September 21. Politician claimed that “the most important thing, which is necessary for IDPs, and in general to all Ukrainian citizens – is confidence in the future. People do not know, whether they go home. People deal with the abuse at the level of social protection authorities and health officials”. According to the survey, more than half of the IDPs say that could not adapt to the new location. Meanwhile, most of them have an income about 1000 UAH per person. “Where are government programs of adaptation? The state is inactive. Therefore, all that remains for us – is mutual aid! And also active position and a desire to restore the region! “- said Klymenko. According to the study, more than half of IDPs are ready to return to Donbas. Large part of them is ready to participate in the reconstruction of the region. “This is a great job. It is necessary to implement it systematically, step by step, overcoming difficulties and even breaking the state machine. We have to understand that nobody will lend a helping hand. We were left alone with out problems. We are Ukrainians. We are responsible for our country. Patriotism –is not in the war, patriotism –is in their daily work for the sake of peace”- said Klymenko. He thanked the the volunteers of «Restoring Donbas” and people, who are not indifferent, who have joint the initiative. Responding to a journalist’s question, whether he intends to return to Ukraine, and whether he afraid of the prosecution of law enforcement, Klymenko said, “I am absolutely sure that I will return to Ukraine. My principle is: if it is a struggle – it should be honest, if it is the dialogue –it should be open. Sometimes I have been accused of the fact that I do not know much about the problems of Ukrainians. I would like to state: I understand Ukrainian problems and troubles of its citizens better than many politicians, who are in the country. On September 21, I will carry out a big press conference and answer all the questions”. For accreditation at the press conference, please contact the Press Office: Cell. + 38 044 227 15 23 e-mail: info@oleksandr-klymenko.com.